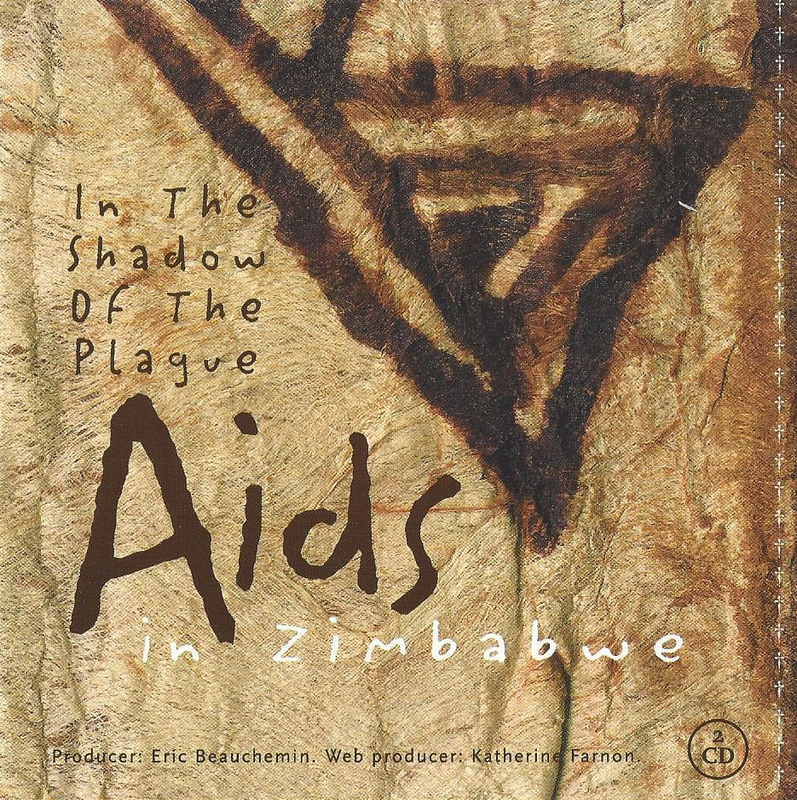 In Zimbabwe, every week 2500 people die of AIDS. Zimbabwe’s HIV rates are similar to those in the rest of southern Africa. The pandemic is changing the face of Zimbabwean society and the way people deal with death. 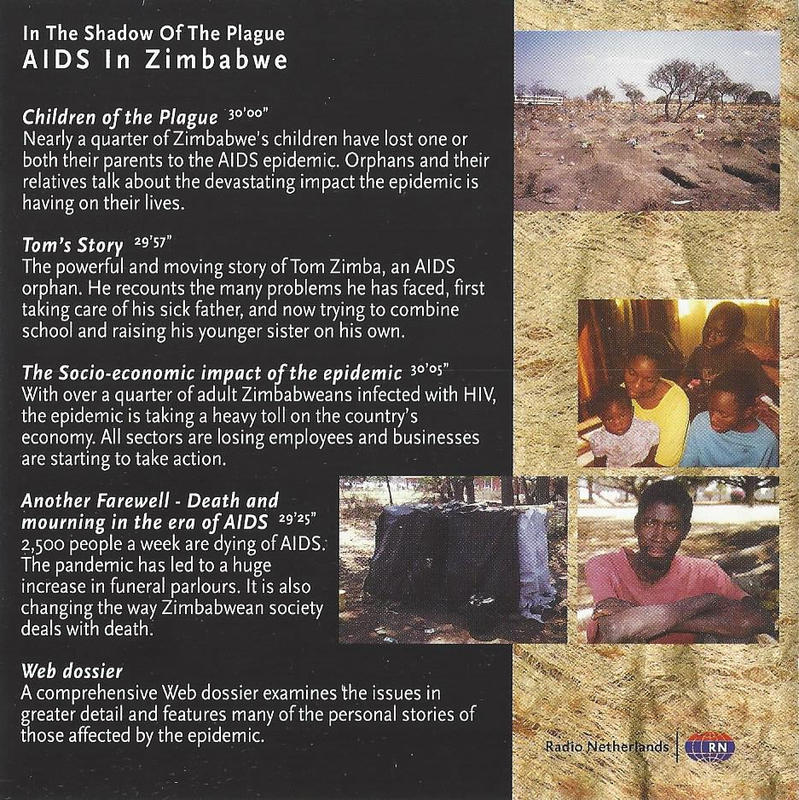 In Zimbabwe, every week 2-thousand 500-hundred people die of AIDS. Zimbabwe’s HIV rates are similar to those in the rest of southern Africa. The pandemic is changing the face of Zimbabwean society and the way people deal with death. 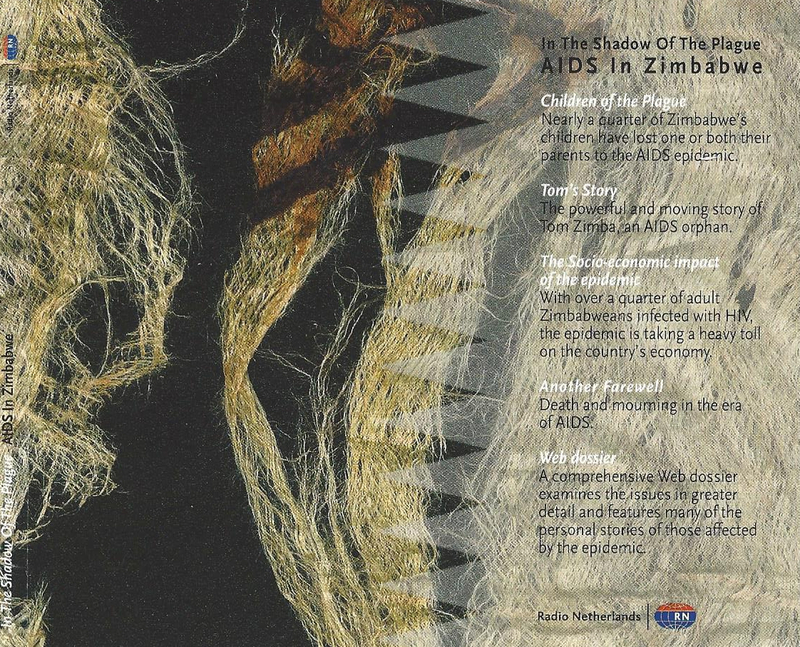 Radio Netherlands, the Dutch International Service, presents “Another goodbye – death and mourning in the era of AIDS”. The program is produced by Eric Beauchemin. It imposes a very big burden on your soul when you see people dying every day. EB: an you tell me about the person who’s going to be buried? This guy Edmond Katsoma, he was sick. He was attacked by…it’s AIDS in fact. He died of AIDS. EB: How old was he? He was 21. Normally here the casket is open so that you can see the person’s face, yet in this particular case the casket has been closed. The reason is that they are afraid of seeing that skinny body. Because he was so emaciated. He was so skinny, so they were afraid of seeing that skinny body. In our African society, we actually gather for about 4 days before the burial and people have to be fed. So you can’t manage as a family from the meagre salaries that we get. We don’t know when one of us is going to die, but we would rather be prepared because the things have gone up. And because of this AIDS epidemic, we have to fit the bills for the medicines before the person actually dies. So by the time that person passes away, there’s no money in the family. I’ll give you an example of something that appeared on the paper whereby a lady put a baby in a suitcase, avoiding the costs of burials. So we would have more of that. They would put a child in a suitcase and go to the rural areas, where you don’t pay for the grave. We are having a lot of funeral parlours mushrooming up like here in Bulawayo Zimbabwe. We’re counting at least that we have about 18 funeral parlours. With us in the Dove’s group of companies, we’ve got 6. It’s due to this AIDS disease now. People are now flocking to wherever they can get assistance to bury their late. You say that there are now 18 funeral homes here in Bulawayo. How many were there let’s say 10 years ago, before the AIDS epidemic really began to take off? There was only two: that was Dove’s Funeral Services and Fari Funeral Services, those were the only two in Bulawayo for the past 8 or 10 years ago. But since AIDS came to begin on light to everybody now people are now venturing to start some business, trying to make money and that’s why we are having so many parlours. Have you had to expand your own parlour because there are so many people dying? Really, it’s growing big, yes. Looking in terms of our staff, we’re increasing our staff because a few members of staff can’t cope up with the job we are doing. As well, we are increasing our fleet of cars, catering for those going out of town and local burials as well. What usually happened before all this epidemic occurred, about 10 to 15 years along back, what usually happened is that when a person dies, the family will gather and organise transport. The body will come either Dove’s or to any parlour – since there were only two parlours by that time. Then the body will be transported to the TTL – the Tribal Trust Land – then after it has been prepared, then the burial will take place just next to the cattle kraal. EB: And what is happening nowadays? Nowadays, just because people, you know, are dying in a big number, and some of them don’t have money to pay for transport, to transport the body to the TTL. So they decide to bury their beloved one in town here because there’s no money to carry all those bodies since people are dying in a big number. People are cashing in on deaths. Sometimes, they will be charging exorbitant charges for transporting a body. To a place where maybe they could use 200 dollars of fuel, they could charge up to 2000, 3000 dollars and sometimes you just can’t afford it. And you also have to transport the people from the city to the rural area. It means you have to hire a bus with you. You foot their travel expenses. And sometimes you have to wait until after the burial and bring them back to the city. It’s becoming very expensive. We are a group of women, of about 30. We started this organisation because had seen some problems in that some people when they are sick, they don’t have anyone to care for them and when someone dies, it’s now very expensive, the burials, the coffins. So we thought we would help each other do this. It is a burial society although we don’t only deal with burials. We start from when the person is sick. We buy him fruits, and comfort him and pray for him. We have a joining fee of $250 and we also meet every first Sunday of the month. Every time we meet, we actually bring $100. It works this way: if there’s someone who has passed away. Suppose it is the bread-winner who we give 6000 plus some groceries. We withdraw that 6000 from the bank and then we replace it by sharing that 6000 among the number of members, so that we always have money in our bank because these days a lot of people pass away. We are afraid that we might have nothing in our coffers. When families come in to see us to arrange a funeral, the biggest expense they will incur is the coffin or the casket. This determines the rest of the funeral, what they can afford, the facilities we can provide according to those expenses. And families these days still treat a funeral with a lot of superstition. They believe that if they spend more money, maybe more money on the coffin, the spirit will be more pleased. Therefore we’re tending to notice that families would even incur debt to purchase a nice coffin for a funeral. We start with a type of coffin called a budget-board. As its name states, it’s our cheapest coffin. It’s about 800 or 900 dollars and we can go up to an imported casket from America, called a Bedsville casket, which currently weighs over 100,000 dollars. So that’s between 20 US dollars and 5000 US dollars. One of the things that we’re noticing in Zimbabwe in the funeral profession is the amount of solid wood coffins that we are going through. It really is causing quite a demand on the timber industry and therefore the prices are going up. A new concept which is coming into Zimbabwe is a foil, a wood veneer so to speak on top of a hardboard or a masonite-type of wood. This is significantly reducing the costs and the amount of wood used in the production of these coffins. And I’m hoping that this will take off to save some of the trees. Are you actually having supply problems in terms of caskets? I would say yes and no to that. We are having supply problems. But there is so many manufacturers of coffins at the moment because everybody believes it’s a booming business that there are a lot of coffin-manufacturers. If we have a problem from a certain supplier, we just move on to the next supplier. There are several layers of each family who are dying off and so there are fewer and fewer carers. Also within the society itself, people are just saturated with death. There just isn’t energy to go around, and there isn’t enough support and certainly not enough money. So the lack of support is something that we are seeing more and more. And so institutions are having to be established which is not the ideal way to deal with grieving people. I think the long-term impact is a real impact on the mental health of our community. And what that means that in the long term people are going to be less able to deal with other life crises because if one doesn’t deal with a grief process, you’re less able to deal with other life crises such as just general economic hardships and family problems which we all have. So the coping capacity will be less and quite what that means for us as a country, I’m not too sure. It doesn’t matter how many times it happens. It’s traumatic to put it mildly, very traumatic when you see somebody dying. It is very dramatic. Some people develop even high blood pressure, new diseases, as a result of seeing people dying, relatives, your dear people. Imagine a mother, an old mother and old father losing sons who probably will have gone through the university. They are graduates. One of them dies, and the wife dies, and if you have three, four of them dying, what do you think a person will do? Definitely levels of stress will be there. I think we can probably better understand it in terms of a sort of chronic shock, a chronic numbing, and distancing from one’s feelings, because that is one way to cope. And one has to cope. So it’s not necessarily dysfunctional in the short term, but in the long term, that does have implications for the way that we all cope because if you aren’t in touch with your feelings, you aren’t able to process other kinds of problems. So, it is almost like a prolonged shock and disbelieved situation which is common to post trauma. You don’t have the capacity to process the pain. You have to really keep it under wraps and it’s a very functional thing. I don’t want to put it down because that’s that the only thing people can do. But when you’ve got several deaths happening one after the other, which is what we’re seeing, there’s just not that facility to process them, so you are going to remain in that numbed situation. You can live like that, but it’s not a full life, and ultimately of course what we are all working towards is everyone achieving their potential and living a full life. And that is NOT what people are going to be doing. You find the cold rooms will be full. So other people they’ll be just thrown on the floor because there’ll be nowhere to be put. Sometimes you can find that if you get there, you want a body, they will tell you, just check there on the ground. So there’ll be people there, plenty on the ground. The cold rooms will be all full. In the mortuaries. Yeah, in the mortuaries, especially in the main hospitals. You find them like that, piled on the ground. Sometimes the cold rooms will be full, so….no space. What I favour most before I take out the body, I have to prepare my cold room. So that, if I take out the body, I don’t have to put the body down and open the fridge, you know. So, what I do is….check on my cold room. I favour this one. So, I leave it open. I get my body now. And I close [door]. From here, I will put them inside there. Right. So that’s the counter book for recording the bodies brought in. [leafing through book]. Then I write there the date. I write the name of the deceased, I have to look at the burial order again. [opening paper] Name of deceased. Now I have to write where the body was removed. It was Mpilo. Mpilo Hospital. Now, the mortuary. That’s where I am to write to B3, where I put the body. And then the signature of the driver, that’s me. You know people believe that if we go and wash the body, then we will get the disease. Now they ask those people from the funeral parlours to actually wash the bodies for them. I think it’s a matter of being scared of getting the disease. And there is also the belief that if you just view…it’s a belief which is not true…that that person’s air will come to you and you will all get the disease. You’ll find these days that when people are viewing, they are some who actually don’t go to view and again the other one is prestige. There are some people who still don’t admit that there’s AIDS. That person maybe was quite big and healthy and they are sort of ashamed for you to see that person. You know, usually they are skeletal, just the bones. So they are actually afraid that people will go around talking about it. Burials used to be a very respected occasion. Very respected. So much that people felt that if someone dies, it’s a duty or you are bound to make sure that they are given a decent burial within a specified time, but now it’s very difficult. It’s very difficult. Sometimes you would want to but you can’t afford to. Because you know, culturally we used to gather for quite some time before somebody was buried. I personally feel it helps the person who is aggrieved to be kept company, and they will sort of come to grips with the death of their beloved one, and people would gather around for even a week after the burial also. But now with so many deaths going around, the moment they bury the person, almost everybody leaves except for the very immediate family. And one is lonely immediately after burying a loved one. We still have a problem of confidentiality in this country where we really want to sweep everything under the carpet. And yet today, everybody is aware that there is HIV/AIDS, and nearly every family has had a close shave of HIV/AIDS. Either they have a sick member or they’ve lost somebody in that family due to HIV/AIDS, but people are just on denial. I don’t know whether maybe it’s pride or it’s the stigma which they fear. Because, usually in the churches especially, some church organisations, really the stigma is high. They still look at HIV/AIDS as a sinful disease to die from or to be sick from. So people don’t want to associate with that. They would rather call it something else. They are very happy to say that he died of TB, he died of pneumonia. They are happy with those terms. That’s why we find these people talk of a long illness, a short illness. They don’t want to say that it is HIV/AIDS-related. People are talking about it. But I am sorry to say in our society, some people still don’t want. They deny that AIDS. They can even go to a certain point that they look for a nganga, a witch doctor [chuckle]. They will look for a witch doctor to prove that this person…and you know that the witch doctors are going to tell them that someone killed him. So, people are really denying. And the old people, when I attend funerals, I usually hear them say oh, I should have gone instead of them going. Why should they go because who is going to bury us? It’s really very difficult because the young people are the ones who are going. And at a very large scale. We have witnessed in our burial society when the father died and the mother died. People will now grab the children in the pretence that they are going to look after them when they want the money. You know, long back, people would sit down and you look for the heir and so on. Today they don’t do that. They just grab the children and leave the children to suffer when that person has died. Already we’re seeing increased drug dependency, not only alcohol, but a frightening dependency on other drugs, and of course an extremely high suicide rate in this country, which I think is also linked, partly to the economic climate in which we are living now, but also because there just seems to be no way out. And when you’re living with a huge amount of pain over a long period of time and nothing improving, it is cause for severe depression and I would anticipate in the next few years that depression will be one of the greatest burdens that this country will have to bear. Long back, when there was a burial, you would find maybe 500 or 600 people attending that burial. But nowadays, you’ll find that you might find 10 people burying a person because there are a lot of them. Like when I say we buried this girl, there were about 10 other people having their own burials, and there will be a few. Because people are now getting tired. In our society, we would talk about people…heh, in someone’s burial there were a lot of people. But today they don’t envy that. They’re not envious of that. They don’t care as long as someone is buried. It’s around 10 kilometres by maybe 1.5 going that way. So it’s only a month that place has been opened. You can even calculate the number of graves which have got just in this area. So maybe you can say just roughly more than 500. And this is just one cemetery in Bulawayo. Yeah, this is one of the biggest cemeteries in Bulawayo. We’ve got one in Athleone, but this is one of the biggest. But there are four right? Yeah. In fact we’ve got another one. It’s called Pilandao. But that’s one already full. With us at Hamba Funeral Services, we had several, a number of people coming, asking for quotations for cremations, but with us Africans is a problem: people intend to cremate when it’s an infant but for somebody, a grown-up somebody, they don’t want to cremate because they believe that once you cremate somebody, then definitely there’s no grave for that somebody. I’ve actually heard about it and I’ve read it in the paper and people comment about it, saying especially with the state of our graves. You know they are now so close together that you feel that by the time you have finished burying your person, the two coffins [chuckle] meet with the person next to that one. So people are now discussing it and I’m sure that we’re going to see a lot of cremation. And there’s no land. So people will prefer to do that. And it’s cheaper. I’m one of those who would not like to be cremated. Because I feel my bones should be underground. But I think with this epidemic, I hope you visited Luwewe Cemetery. You saw how many people are buried in one day and the closeness of the graves. That on its own makes you think I would rather be cremated. I think it will make them change their minds. This morning, we had about 7 funerals just in one area. So, from one funeral making a funeral, there’ll be maybe a hundred metres, there’ll be another one, like that. So just in one area, in the morning only. I’m talking just about from half past 7 up to 12. So it was more than 7 families doing different funerals. What I can say is every day it increases. Basically on the mourning side, you find that before people would actually grieve a lot when the funeral is actually in process. But now you find that if it’s an AIDS case, you find that a lot of people accept either that the person has passed away from AIDS or they actually have been through so many funerals that they no longer grieve. You find that just a few people actually grieve. You’d find that the person, maybe a week later, they’d still be grieving that person’s death but these days, you’d find that actually the next day, they seem to be OK. They just talk about the person, but the grieving process has ended. Is it also because people have seen the person sick for quite some time and so they were prepared for this, and there is actually less need for grief? Yes, I’m sure, because you find that a lot of the clients who do come here actually know that the person has passed away or they actually try to hide the cause of the illness from the other relatives. In situations where we are working like this, somebody dies in my rural home, you can’t go for every funeral. And your employer cannot understand that, but culturally, if you are within the same family, for instance, we have the same surname, culturally, we are immediates. But it’s very difficult to explain that to an employer. I don’t blame the employers as well because their work has to go on. They can’t close up because people are dying in such large numbers, and sometimes you just have to ignore some of the deaths and then maybe you go when you are off duty to pay your condolences. Just the illness of AIDS itself presents all kinds of differences like stigma, secrecy. And then during that bereavement process, one doesn’t get the kind of support from family and friends that you’d get if it had been cancer or an accident. Secondly, you’ve got usually the main carers, say for instance the wife of a man whose died who could herself be HIV positive, and therefore she’s unable to really tackle the grief process which requires an enormous amount of energy because she herself is weak, ill. And if there are children involved, clearly then they lose both parents. Not necessarily physically, but certainly emotionally. It’s really changed. I think we are getting used to death. In the African society, death was something very fearful. You would be afraid, but today we are getting used to it. “Another goodbye” was produced by Eric Beauchemin. Technical production: Rick Kingma. This has been a Radio Netherlands’ presentation.